There truly are not enough great things I can say about David Beckham. Because, really, I could probably write two entirely separate dissertations on how he looks in soccer gear vs. tailored suits. (Answer: Equally as great but in wonderfully different ways.) But enough about looks. Though the athlete is mighty fine, his handsomeness comes second to another majorly important aspect about him. If David Beckham's latest Instagram with son Brooklyn is any indication, he is an amazing dad. It's a good thing he's taken to it so naturally, too, with him having four kids and all. And being married to one of my favorite Spice Girls certainly helps his best-guy-and-dad-in-the-world case. Especially, because their relationship and devotion to each other is all kinds of cute. Guys, listen, I am trying to not take the fangirling too over-the-top, but this family is just that adorable, OK? Because of this, I compiled an extensive list of heartwarming pictures to get you on board with me, too. Infatuated fangirls love company, as they say. But, more than that, it's just so nice to see a guy as famous and successful as Beckham is, totally prefer to hang out with his kids, rather than go to some wild party. 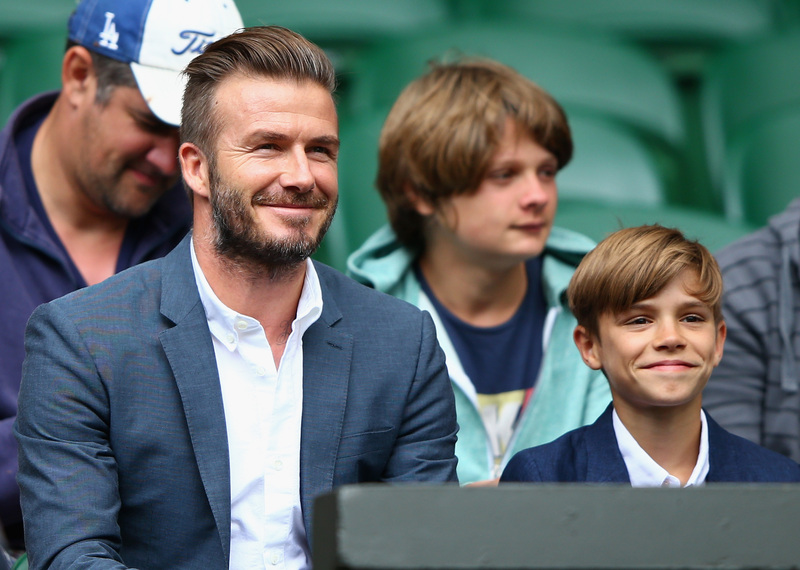 You're never too cool to have a picture with dad — even if you're 13 — if he's David Beckham. And he happily frolics around Disney. I mean, really. Sure, there's a game going on, but he's more concerned with his kids being BFFs. You're killing me, Beckham. Killing. Me. Brb, picking up my heart that just burst out of my chest. Classy and delicious midnight snacks, for the win! In the words of Chandler Bing, could this BE any cuter?! Because, clearly, Harper was having fun. Fantastic fashion sense does run in the family. So, if you didn't know Beckham's Instagram account was basically an ode to his family and his love for them, now you do.